The rear side of the eastern gateway. The top shows in considerable detail the trees associated with the previous buddhas of this eon--acacia, sal, several kinds of fig. 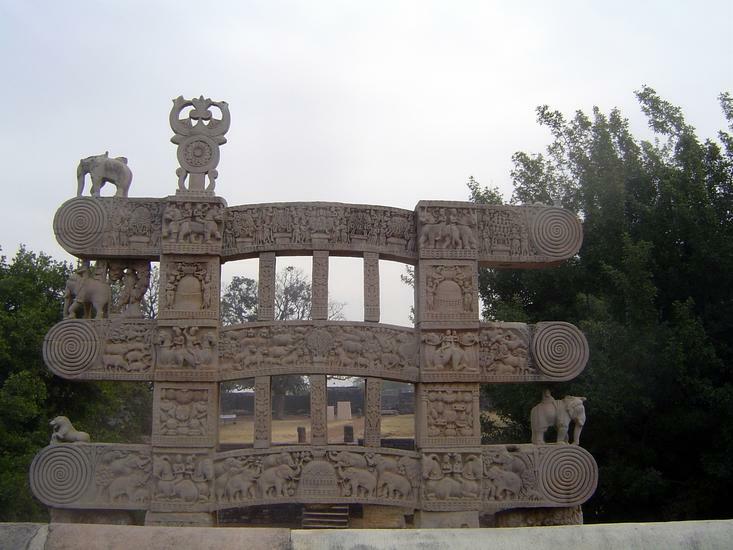 The middle architrave shows the Buddha worshipped by wild animals, but its precise subject is unknown; the lower architrave shows elephants carrying lotus leaves as they approach a stupa.